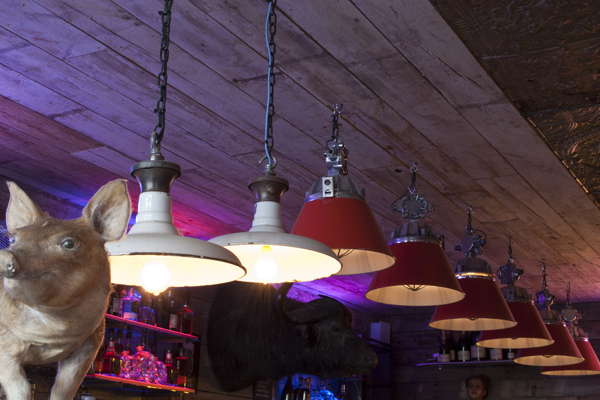 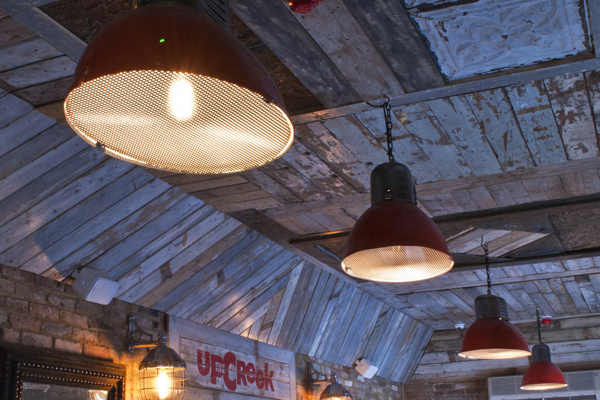 Our lighting was comisissioned for the recent refurbishment of the legendary Up the Creek Comedy club in Greenwich. 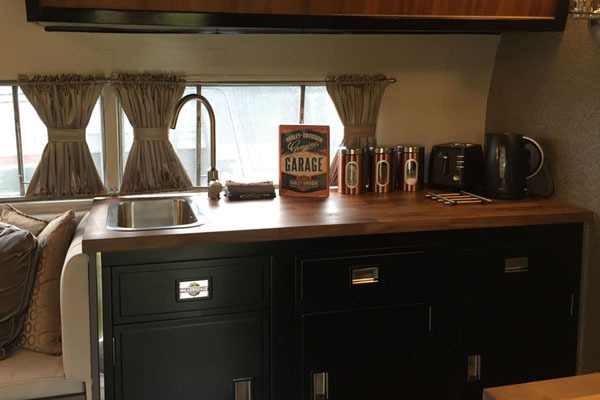 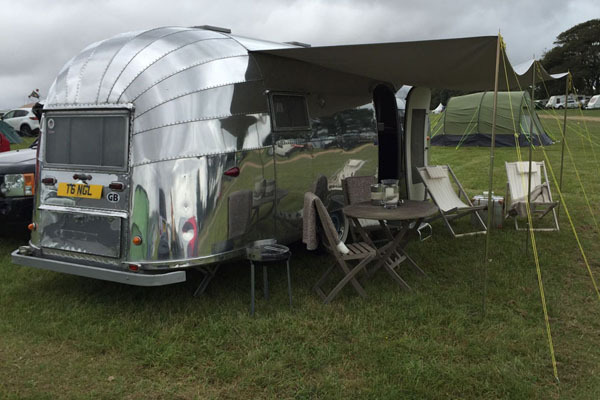 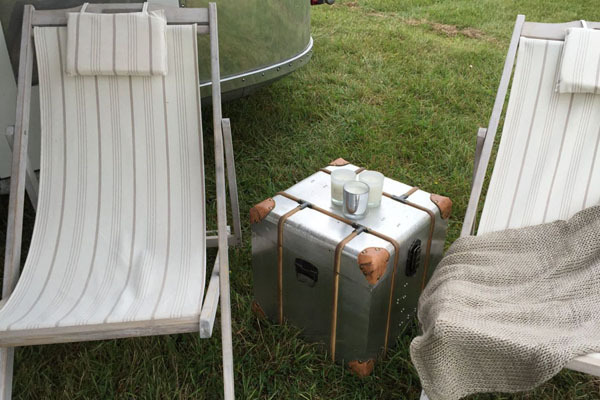 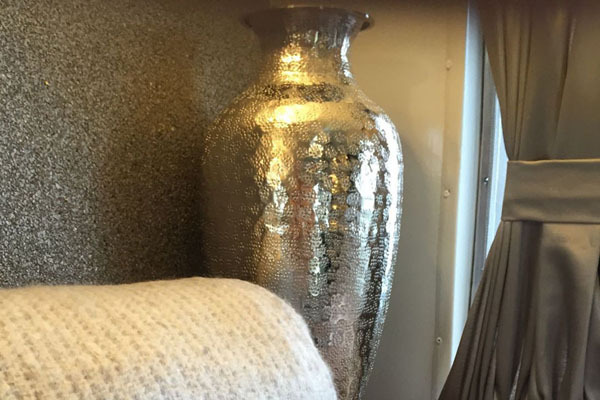 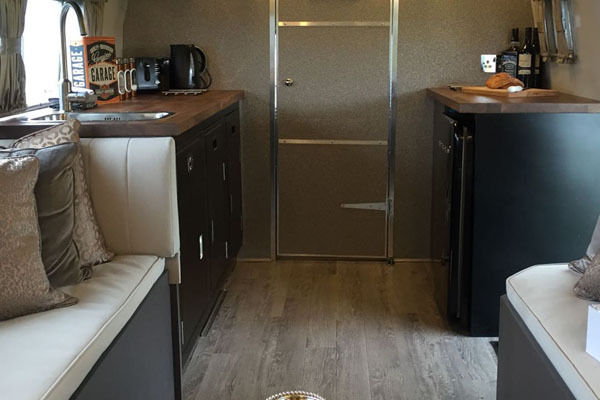 It was our pleasure to supply fittings for a very special refurbishment of a 1954 Airstream Caravan. 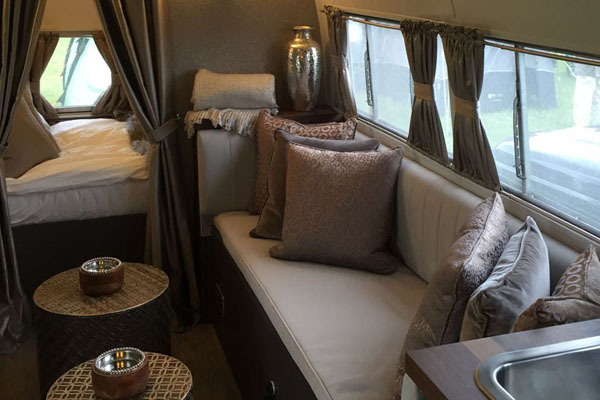 The project was undertaken by M and Y interiors, and delivers a high quality and stylish option to the world of mobile living. 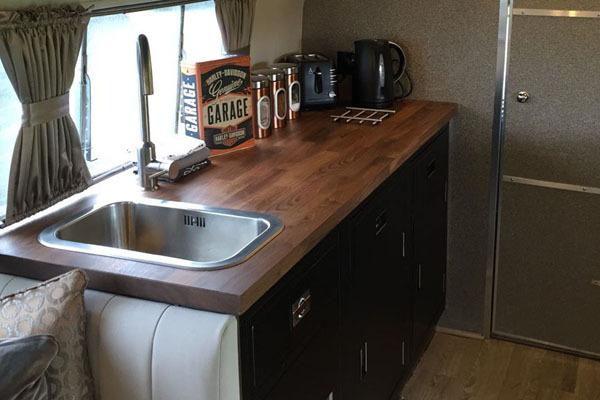 This iconic vehicle was adorned with one of our customised Paul Metalcraft sink units, and our exclusive Polished Aluminium minimalist wall lights, both available from our site. 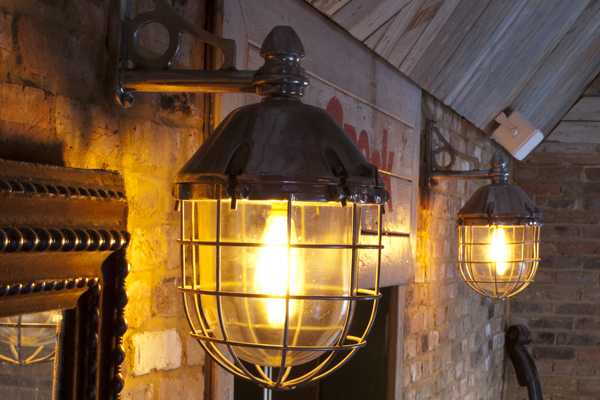 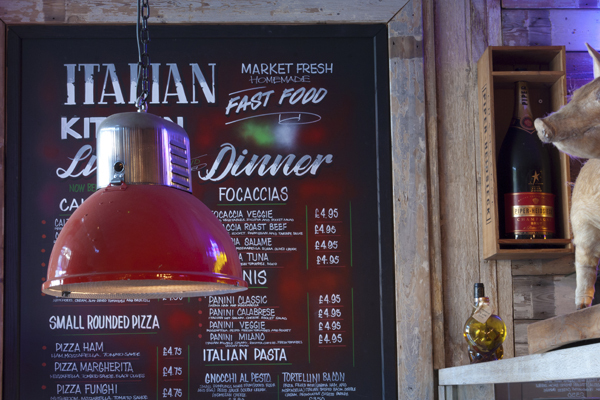 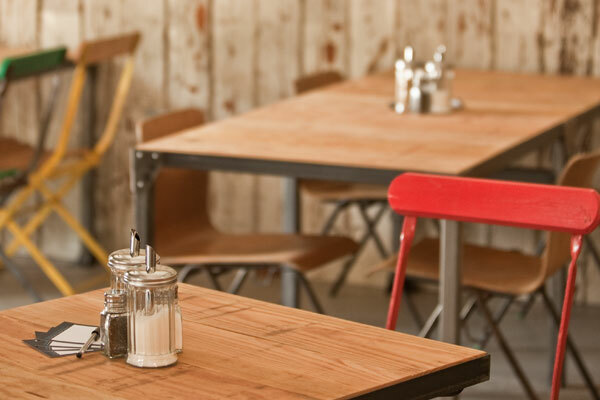 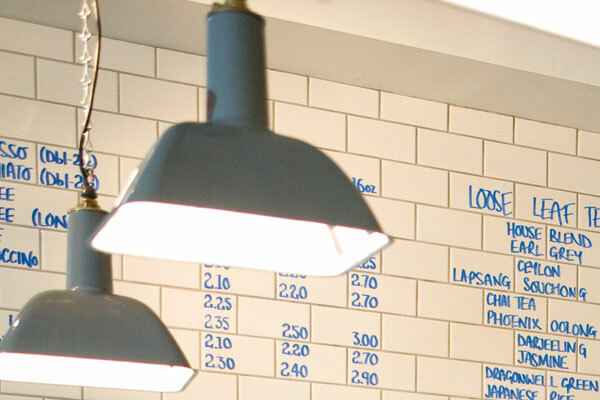 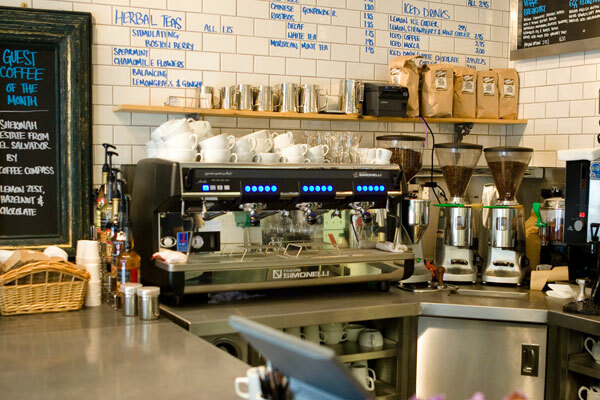 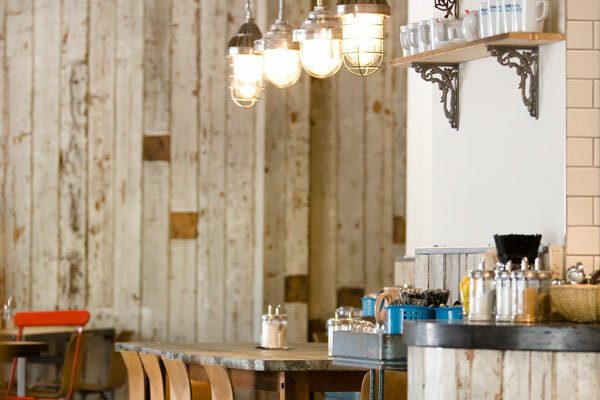 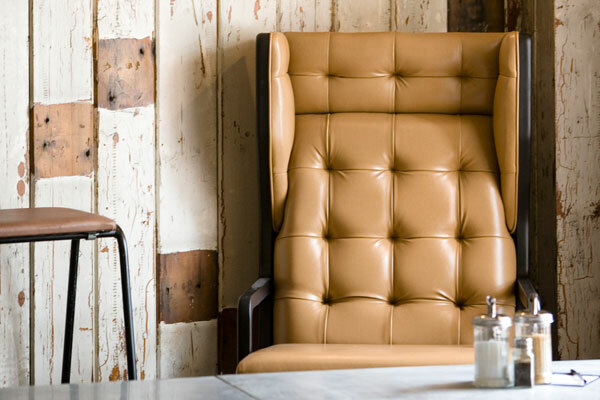 Boston Tea Party, a west-country based cafe chain, asked Source Antiques to supply intrinsic lighting and other furnishings including, wooden panelling both on walls and static furniture, coat hooks, brackets and wooden apple crates, all of which cohere to the Boston signature look. 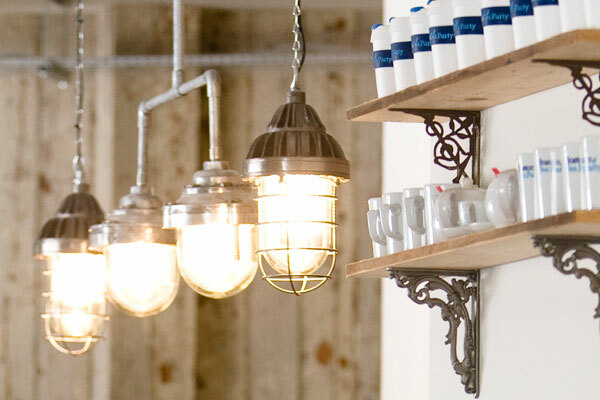 This project proved to be a great showcase for both parties design expertise. 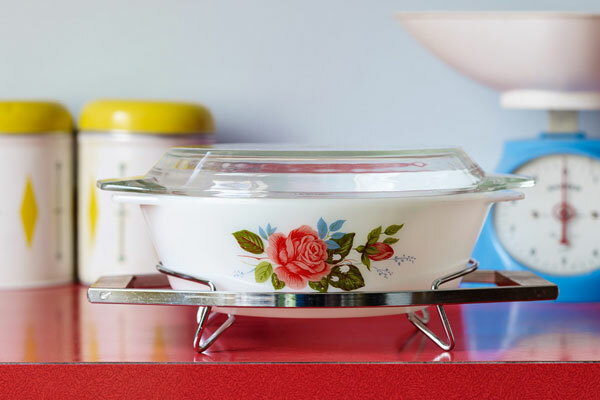 Source Antiques were approached by the magazine 'Homes & Antiques' to feature one of our 1950's kitchens, the stunning "English Rose". 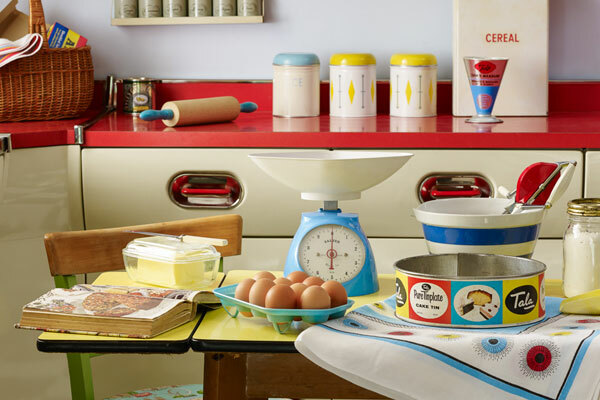 We were also able to supply the setting for Homes & Antiques, who then dressed the kitchen with superb 1950's kitchenalia. 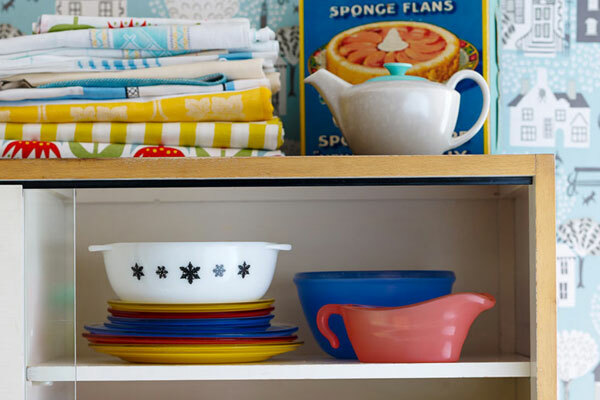 This complemented the functional design of the era embodied by the kitchen. 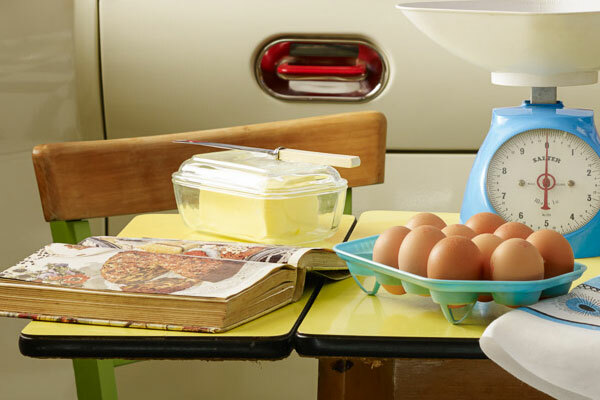 A turning point for the house wife! 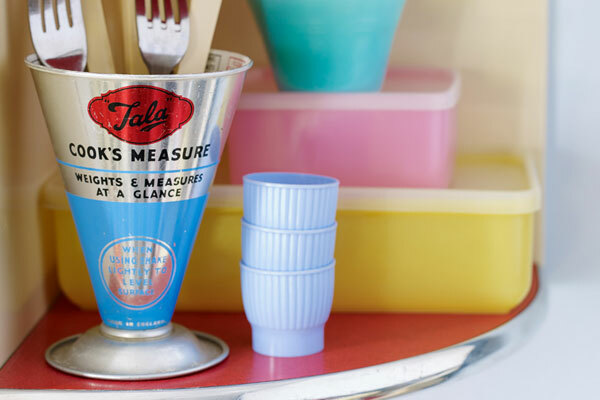 We greatly admired the magazine's fabulous photos taken by Jason Ingram (Homes & Antiques) and their skillful use of appropriate props, a true enhancement of our kitchen. 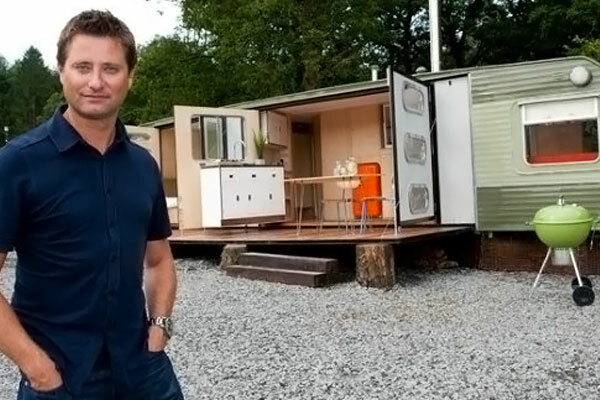 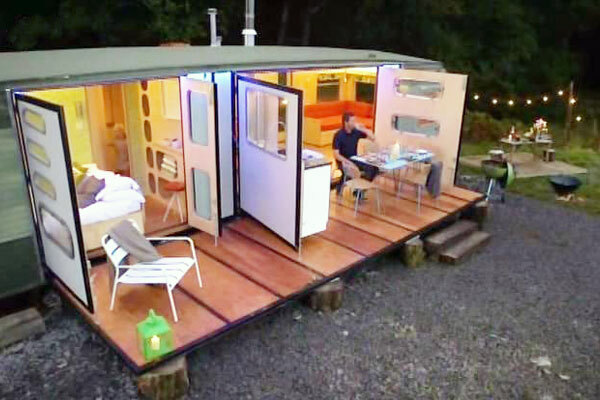 In October 2012, 'George Clarke's Amazing Spaces' on Channel 4 asked Source to supply two of our kitchens for the show. 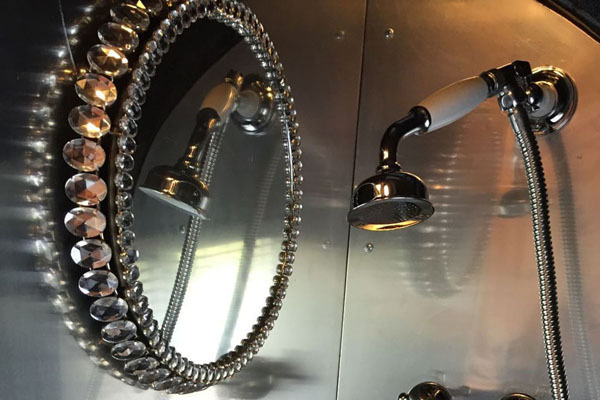 An English Rose and a Paul Metalcraft were selected. 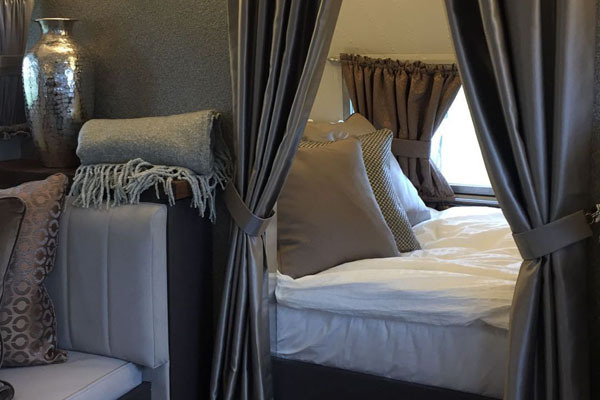 These were to be customised by our team and expertly fitted into a prestigious conversion of a showman's caravan for Andy Triplow, and into Clarke's personal project of a high spec conversion of a luxury mobile home for his own holiday use. 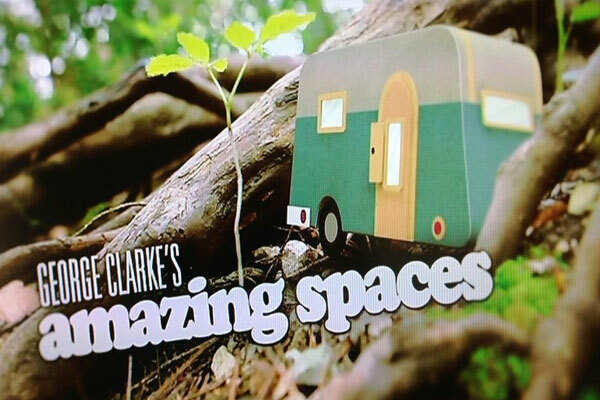 The programme was shown as the 5th and 6th episodes in the series and details can be found on the Channel 4 Scrapbook website. 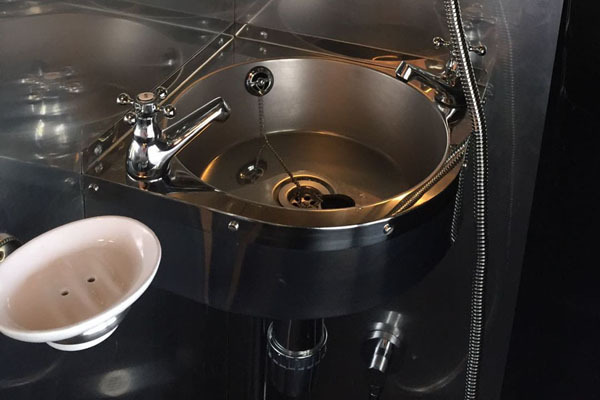 We were delighted when "The Anthologist" commissioned Source for a Paul Metalcraft kitchen. 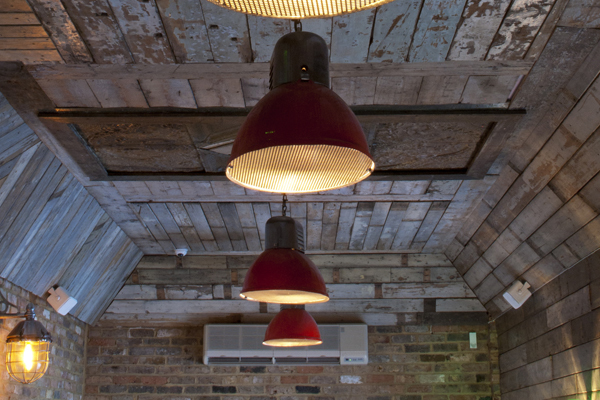 It has been installed in their stylish venue in east London. 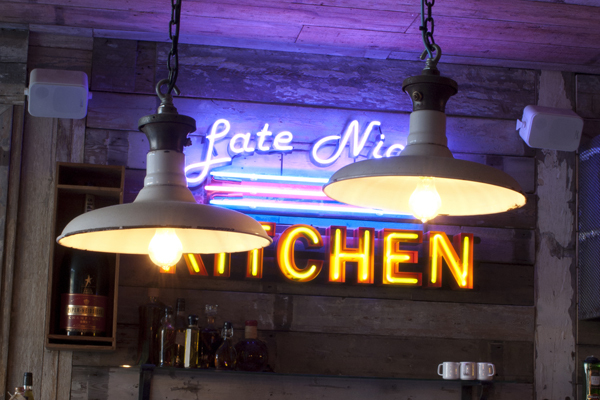 The kitchen sits in the stunningly beautifully interior of the Anthologist's Studio 58, a private function/event room which can be hired with Source's fully functioning kitchen and polished sink unit. 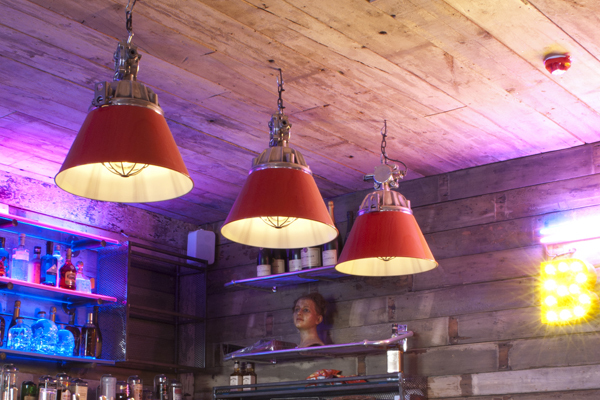 We think the 1950's fusion and the Anthologist contemporary twist really compliment each other. 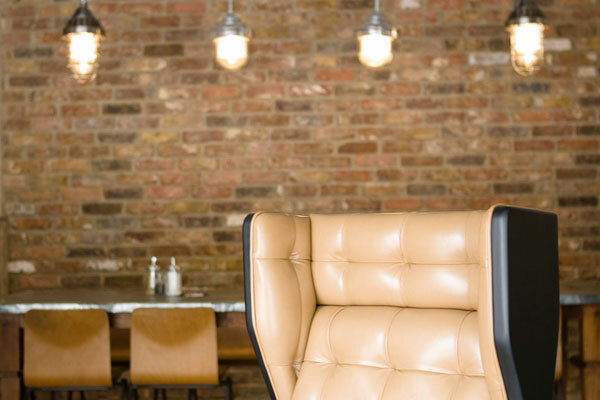 It's been a real pleasure to work alongside such an innovative team.